Tumotus - Berater & Ingenieure | Celebration time! 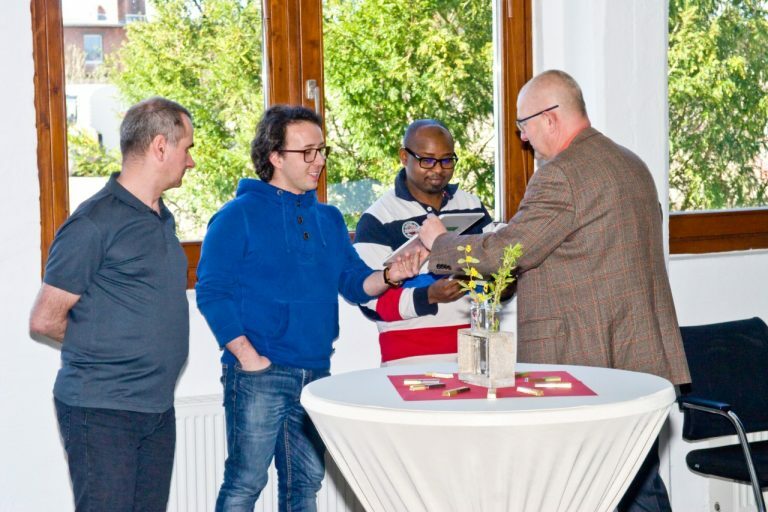 On April 1st (not an April fool’s joke) our company celebrated our 15th Company Anniversary and our 5th Anniversary as TuMotus GmbH. With a little snack from our preferred supplier and something to toast with we celebrated in a small setting this nice event. Two of our colleagues prepared a photobook with pictures of the past 5 years. The book was handed out to the personnel and everybody enjoyed the contents.